Veterinary Web Design - Beasley Direct and Online Marketing, Inc. The site replaced a non-responsive legacy design that could not support the client’s 17 regional practices. providing physician bios and specialty medical information to professionals and their patients. 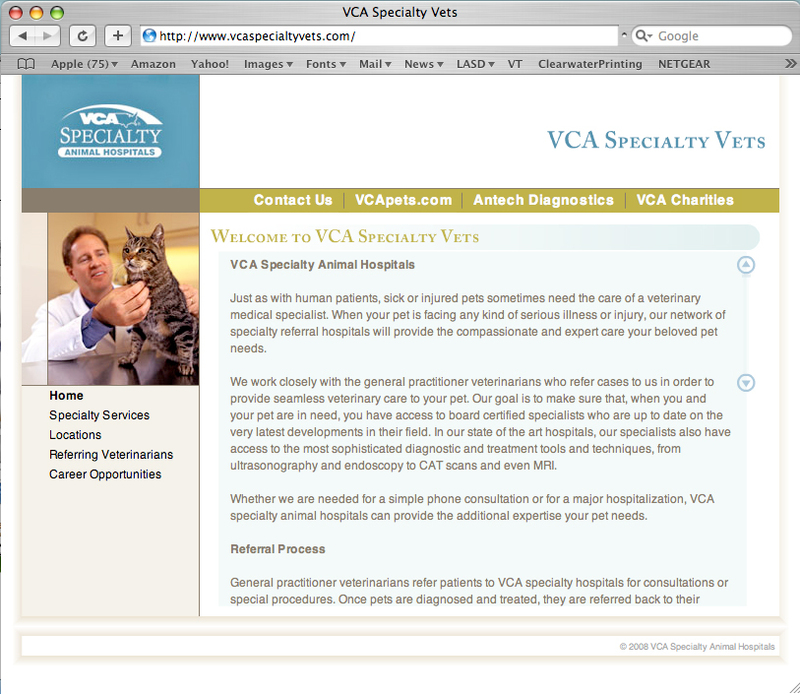 Is your veterinary practice website not meeting your goals? Let a Beasley website design specialist help you meet and exceed your goals. Call us now!